A file with the AVE file extension is most likely an ArcView Avenue Script file used for adding new functions to Esri's ArcGIS program, but there a couple other formats that your AVE file could be in. Some AVE files are Avid User files. They store user preferences for various Avid software programs and are sometimes saved with an AVS (Avid Project Preferences) file. A different AVE file may be an Avigilon Native Video Export file, which is a format used with some video surveillance hardware. AVE is also an acronym for some other technical terms like analog video equipment, AutoCAD visualization extension, application virtual environment, and ​augmented virtual environment. None of these, however, have anything to do with the AVE file formats mentioned on this page. AVE files that are ArcView Avenue Script files should be able to open with ArcGIS Pro, formerly called ArcGIS for Desktop (which was originally known as ArcView). Since these types of AVE files are just plain text files, you can edit them in any text editor, like the Notepad program built-in to Windows or one from our Best Free Text Editors list. 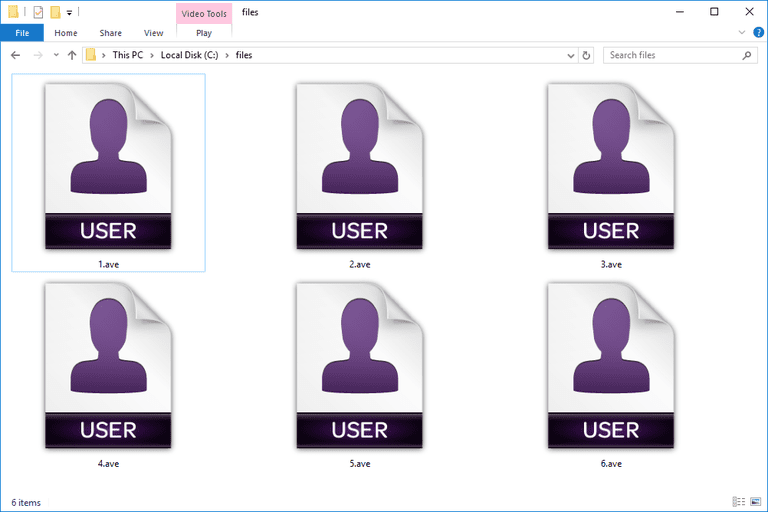 Avid User files can be opened with Avid's Media Composer as well as their discontinued Xpress program. If what you have is an AVE video file, you can open it with the Avigilon Control Center Player. This program can also open Avigilon Backup (AVK) video files. If you find that an application on your PC does try to open the AVE file but it's the wrong application or if you would rather have another installed program open AVE files, learn how to change the default program for a specific file extension in Windows. It's unlikely that an ArcView Avenue Script file should exist in any other format, though it is a text-based format so you could technically save it as an HTML or TXT file. However, doing so would render the file useless for what it's intended for in the ArcGIS application. The same concept applies to Avid User files. These AVE files are used exclusively in Avid's software, so changing the format to something else would make it unusable in Media Composer and Xpress. Using the Avigilon Control Center Player linked above lets you export an Avigilon Native Video Export file to other formats. If you want to export a screenshot of the video, you can do so in the PNG, JPG, TIFF, and PDF formats. AVE videos can be saved to the common AVI video format. You can also use this application to export just the audio from the AVE file so make a WAV file. If you want the Avigilon video file to be in a different format than the ones just mentioned, you can use a free file converter after exporting the file, which will let you keep the file in a much more common format like an MP4 or MP3. The very first thing to do if you can't open your file is to double-check that the file extension actually reads ".AVE" and not something similar. Some file formats use a file extension that shares some of the same letters as AVE but it doesn't mean that the format is related or that the files can open in the same programs. For example, AVI is a popular video file format and looks a lot like AVE, but you probably can't open an AVE file in AVI players and most AVE players most likely do not support the AVI format. If you've checked the extension and you're really dealing with an AVI file, you should treat it as such; read about AVI files here. AV and AVC files are similar. However, it gets complicated when dealing with AVC files since they could be related to both videos and the Avid Media Composer program, but they are also used with Kaspersky's antivirus programs. The point is clear: check the file extension. If it's AVE, retry the programs mentioned above. If it's not, research the actual file extension to see how it should be opened and converted.